News has just broken that Radical Ducati is no more. The Madrid workshop run by Pepo Rosell and Reyes Ramon has suddenly shut down, despite a string of high-profile customs and critical acclaim. 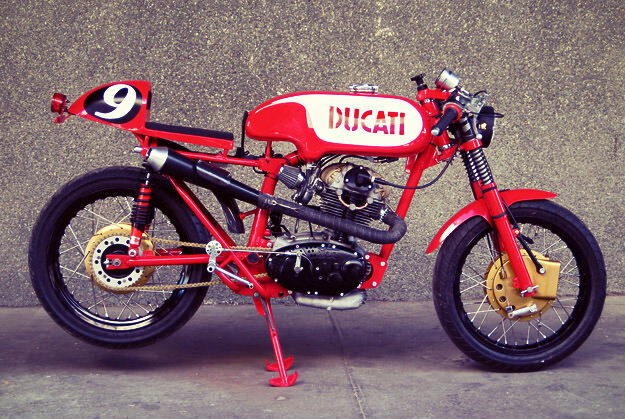 We’ve always been huge fans of Radical Ducati’s work. 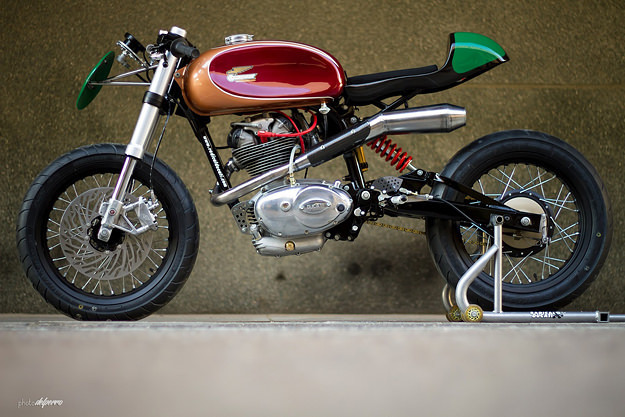 Who can resist beautiful Italian machines, carefully constructed, oozing verve and style? Here’s a brief retrospective of the best moments from the Spanish masters. Adiós, guys—you’ll be missed. Somewhere under here is a Ducati GT1000, given a heavy dose of attitude. The Cafe Veloce was also treated to an uprated dry clutch, new suspension, a shortened frame, a modified fuel tank and clip-on bars. Based on a 1963 Ducati 125 TS, the F3 (above) was a purpose-built track demon: stripped back, beefed up and ready to give even the most seasoned rider a kick in the pants. 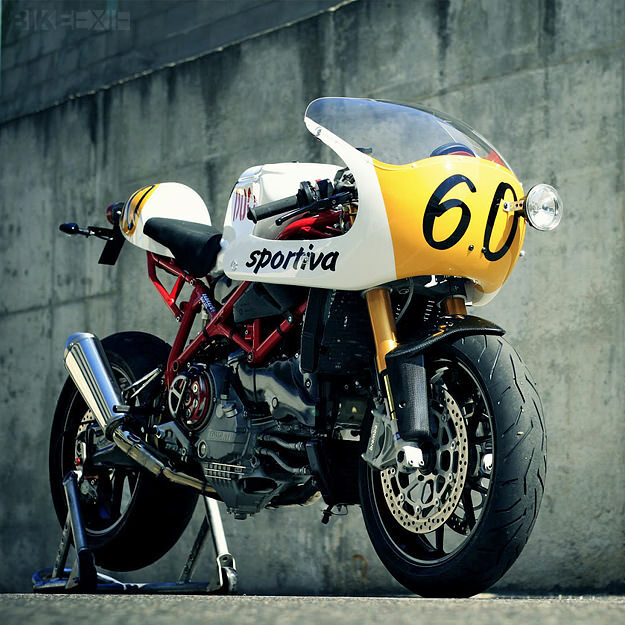 The 7½ Sportiva was a Ducati 749R given a retro flavor and put on a diet. And being Radical Ducati, they tore the bike down and modified virtually every component apart from the trellis main frame and fuel tank. 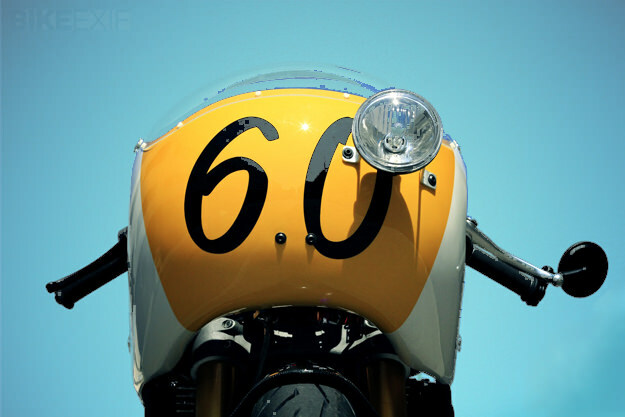 Inspired by racing Ducatis from the 1970s and the ‘monocilindrica’ 450cc, the starting point of the 9½ (above) was a 1997 Monster M900, chopped at the back to accommodate a racing-style tail unit. Based on an ancient Ducati 125, the Carallo Sport was designed to compete in the legendary Motogiro d’Italia. 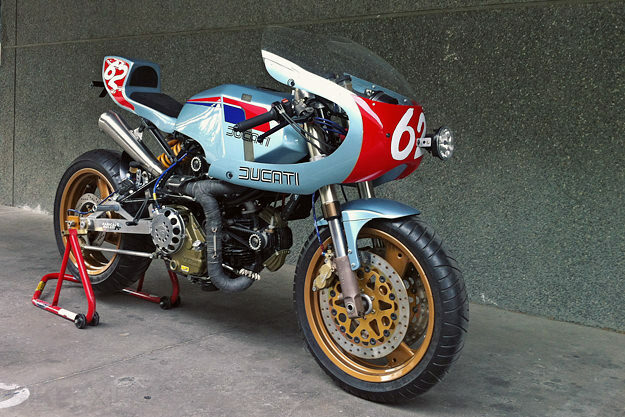 You could be forgiven for thinking it’s a Ducati Pantah, given the color scheme, but ‘Pantahstica‘ is based on a Cagiva Alazzurra, a mid-80s touring derivative of the Pantah. Towards the end, Radical Ducati experimented with other marques. 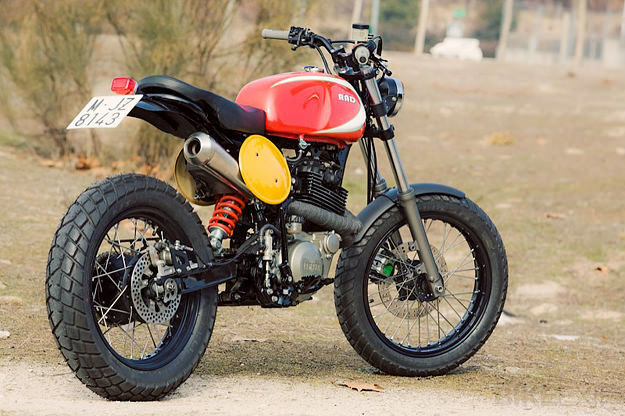 ‘Dirt Rad‘ (above) was a heavily modified Yamaha XT600, sporting a FZR600 fork and a Hagon shock. The air-cooled motor was rebuilt with polished and ported heads, and exhaled via a Spark GP megaphone muffler. 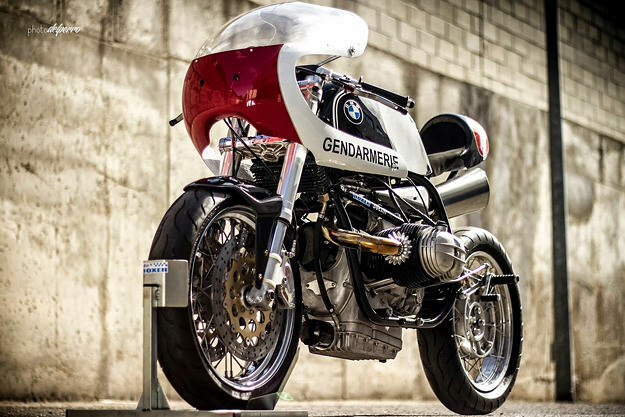 Three months ago, Radical Ducati released ‘Interceptor,’ a BMW R80 ST built in conjunction with the French BMW specialist Max Boxer. But the Ducati links remained strong: the front end is from a SportClassic, and the triple trees are from a Monster. The motor is a BMW R100 boxer, the muffler is from an S 1000 RR, and the tank is a modified Laverda item. Interceptor was one of the most heavily modified and visually arresting bikes from the Radical Ducati stable, and a fitting swansong. 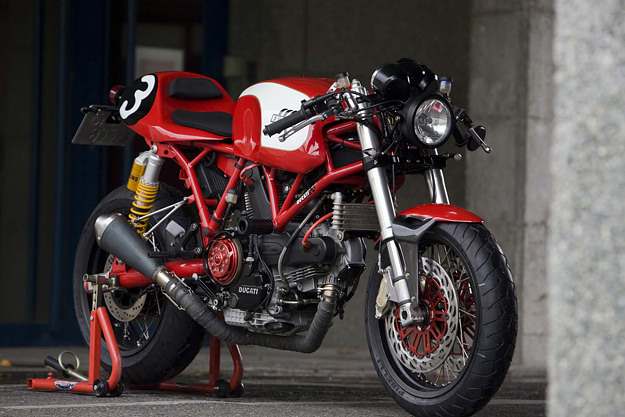 Radical Ducati’s closure is sad news—not only for Ducatistis, but also for custom motorcycle fans of any persuasion. Hopefully Pepo and Reyes will return soon, and seduce us once again with more high-performance, stylish customs.